It’s a valid question, considering most e-commerce businesses never realize a profit. The evidence is quite overwhelming; nine in 10 online businesses fail or end in failure within the first 120 days. The simple fact remains that inexperienced online sellers often are their own worst enemy. Most e-commerce businesses fail because their owners have little to no cash flow, poor inventory management practices and zero patience. Some online business owners, however, do survive to see day 121. And though it can be argued these individuals have seen a tremendous amount of success relative to their not-so-lucky counterparts, there is plenty of work left to be done in order to reduce costs and increase profit margins. So, we’ve compiled a list of five ways your e-commerce business can increase efficiencies and boost profit margins. For this post, specifically, we look at the five areas that often have the largest impact on the cost of operations for most e-commerce businesses: inventory, labor, shipping, payment processing and customer acquisition. Exclusive Bonus: Download the FREE Cheat Sheet including five ways to reduce e-commerce operational costs (and boost profit margins)! Purchasing products—either from wholesalers or manufacturers—is often the largest, consistent expenditure for online sellers. Yet, for many, it is often the root cause of most cash-flow issues. Purchase too much of what you’re looking to sell, and you can cripple your cash flow. Buy too little, and you risk leaving revenue on the table. So, when looking to diagnose potential cash flow issues, or increase profit margins in a meaningful way, examining your inventory management practices is usually a good place to start. First and foremost, order only what you need. While a seemingly obvious tip, many online sellers consistently over-purchase. Predictably, over-purchasing results in “dead stock,” which can quickly cripple even the steadiest of cash flows. You should understand the “velocity” of your own products, or the time it takes you to sell each item in your inventory. Thankfully, the right inventory management system can help you remove human error from inventory management. If you’d like to be even more aggressive (and potentially reduce costs more significantly), consider dropshipping, which completely removes inventory from the process. Many wholesalers and manufacturers offer dropshipping as a service. Don’t be afraid to ask. In the long run, dropshipping allows you (re: the seller) to completely eliminate most inventory-related expenses. Labor is a significant expense for most businesses. More importantly, recent increases to the minimum wage have hit the e-commerce space particularly hard. In March of this year, The Wall Street Journal reported on a study conducted by CBRE, a real-estate brokerage firm. According to the report, every $1 increase in annual wages has the potential to increase costs for a warehouse employing 500 workers by $1 million. 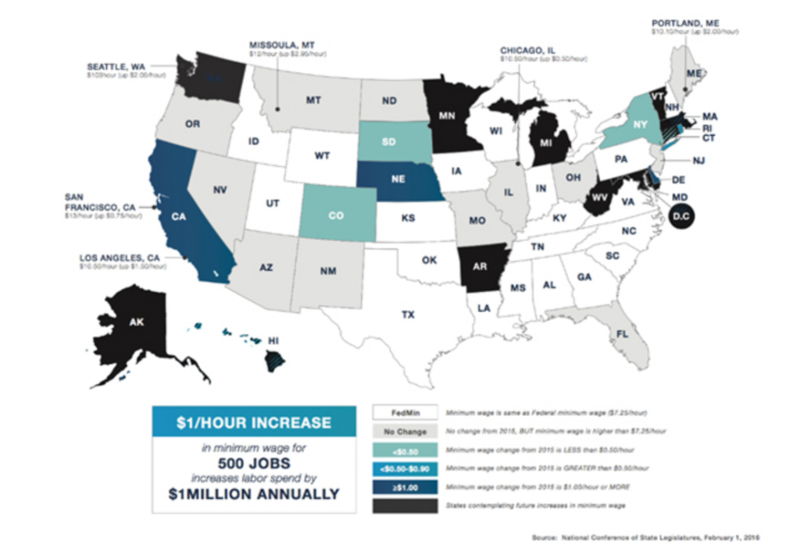 The cities in the map below have already approved increases in the minimum wage above $7.25 per hour and 11 states are in the process of raising the minimum wage above $10 by 2022. As it usually happens, rising costs are felt across the board. For example, minimum wage increases add operational costs for wholesalers and manufacturers, who pass those costs along to their customers, usually in the form of higher shipping costs or higher product costs. These increasing costs are next felt by the buyer, who, faced with the prospect of thinning profit margins, must now pass these costs onto the end customer. In such a scenario, online sellers usually pass those costs onto their customers in the form of higher shipping costs or limited shipping options. Neither is particularly appealing to business owners or their customers. So then, what are online sellers left to do? As previously mentioned, shipping costs are closely tied to the rising labor costs. Depending on each individual business, shipping costs often outpace labor expenditures. Roughly 47 percent of all online orders include free shipping. For some, free shipping isn’t possible. It simply doesn’t make financial sense to do so. For starters, shop around for shipping rate discounts. These discounts can often be easier to come by than one might think. Keep in mind that even a few pennies savings can add up to a significant savings, particularly if you’re fulfilling a high volume of orders on a routine basis. If you offer free shipping on all of your orders, you probably spend a significant amount on postage. Start here. Contact your current shipping provider and see if they’d be willing to lower your shipping rates based on your order volume. Your packing materials may also be thinning your margins. Once again, chances are good you’re purchasing the same packing materials from the same supplier on a regular basis. If you aren’t receiving a reduced rate for that reason alone, you’re missing out on potential savings. If, however, you already receive a healthy discount on packing materials, call your supplier and ask if you can find another 20 percent savings. If you have a history of paying your supplier(s) on-time, use it to your advantage. When pressed, most suppliers will reduce your rates. Many assume payment processing costs are fixed. Some fees are, in fact, fixed costs. However, some payment processing rates are negotiable. Nevertheless, many online business owners do not think to negotiate these costs. So, you should take the time to understand the difference between the various parties in any online transaction (e.g., merchant account versus payment processor versus payment gateway) as well as the myriad of fees associated with online transactions. Depending on the payment processor used, you may or may not be paying an additional payment gateway fee. Many processors have built-in gateways that do not come with additional fees attached to the transaction. Check with your payment processor (or examine your bank statements) to see exactly which fees you incur each month. Look for any “hidden” fees appearing on your bank statement. The minutiae associated with processing online transactions can feel overwhelming to even the most experienced online business owner. That’s exactly what many credit card companies and payment processors count on. Do your homework and find the right payment processing model for your business. If you process a high volume of transactions, don’t be afraid to negotiate with your payment processor. On a regular basis, your business is hit with a tangible charge for inventory, labor, shipping and payment processing fees. You can see those charges on a bank statement. Your conversion rate, however, doesn’t show up on any bank statement. Yet, for anyone selling goods via a website, this number is arguably the most important metric one can track. According to Compass, the average conversion rate in e-commerce last year was 1.4 percent. Top performers saw conversion rates at or above three percent. If you’re running an online store, you should know exactly how you are performing relative to those numbers. More importantly, you should grasp the basic principles of conversion rate optimization (CRO). In general terms, CRO is a practice aimed at increasing the revenue generated via a website. Many inexperienced business owners foolishly waste time and money in an attempt to acquire new customers. More often than not, their efforts result in high customer acquisition costs and many missed opportunities. Consider, for instance, the profitability of selling to an existing customer is 60-70 percent, while the profitability of selling to a new customer is 5-20 percent. Increasing your conversion rate is critical to sustainable profitability. 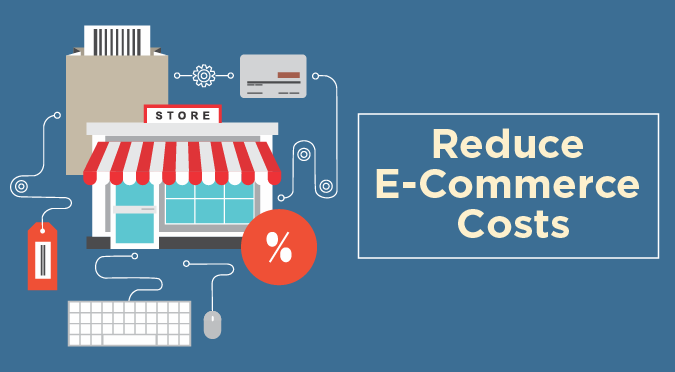 To reduce costs and increase profit margins, target the five areas that often have the largest impact on the cost of operations for most e-commerce businesses: inventory, labor, shipping, payment processing and conversion. Consistently operating with thinning margins increases the likelihood your business won’t last. Meticulously examining the key areas of your business on a regular basis can help you pinpoint inefficiencies and reduce costs. If you’ve made it through the first 120 days, you’re well on your way. In order to take the next step, you’ll need to reduce waste and increase efficiency.